Based in south-east Victoria, our customer’s core activity is the extraction and provision of granite based aggregates, of upto 40mm minus. Situated on the edge of reclaimed swampland, the quarried material has a high silica content and so the operations required effective dust suppression in order to meet OHS regulations in line with environmental policies as well as provide adequate working conditions for workers. When the quarry manager started work at the site, a rubber skirting was being used to contain the conveyed product. With the heavy abrasion of the granite, and the drop height of 2.5 metres, the rubber skirt was only lasting 2 months before it needed to be changed out and replaced. The containment of the fine dust particles was satisfactory, but could be improved. 1. The interior facing wear resistant layer of polyurethane exceeds the wear life of traditional rubber-only skirting. 2. 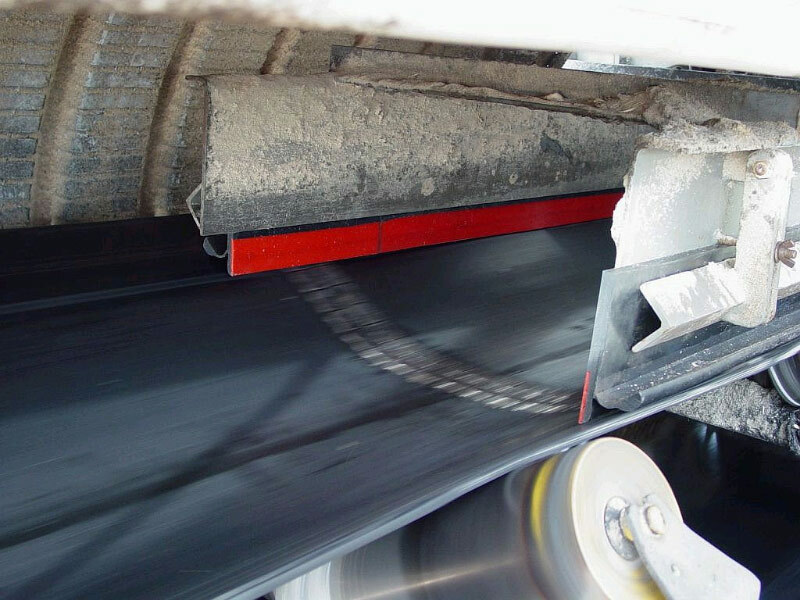 The outer anti-dust integral moulding can adapt to belt vibration and maintain the correct pressure to effectively seal the belt. Our customer confirmed that the change over and installation was not complicated and took the anticipated 2 resources to install as part of a planned maintenance schedule. K-Ultra Dual® Seal has not disappointed and lasts approximately 12 months in regular production and suppresses the dust more effectively.